Today, I’d like to welcome Sarah. She is the incredible mother of 2 gorgeous boys and she is also the mastermind behind the enticing and informative blog, Fried Dandelions. 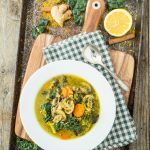 If you like delicious food with a healthy dose of pictures of super cute kids and pictures of said kids helping out in the kitchen (see the 2nd picture below to see what I mean), then this blog is perfect for you. I love all of the above so of course, I had to invite Sarah to the party. Check out her versatile, veganized version of the classic holiday Candy Cane Cookies! Hello Kind friends! 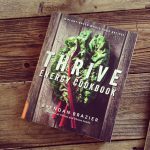 I am excited to be sharing a recipe at Kristy’s cookie swap for the second year in a row—thanks Kristy! Last year I veganized my mom’s classic sugar cookies. They are one of my favorites, and I know I’ll be making them again in the coming weeks. This year I am excited to have a new cookie recipe in my back pocket. I’ve veganized the classic Candy Cane Cookie recipe—remember the fun twisty ones from your childhood? My 3 year old David and I had fun putting these together. He really liked rolling out the dough—just like play do! And I really liked eating them—I think I grab one every time I pass through the kitchen! ^^^ My little sous chef—he’s going to overtake me in the kitchen before I know it! The cookies have a subtle peppermint taste—there’s peppermint candy right in the dough! I used the starlight mints from Trader Joe’s—they are made with natural dyes and no high fructose corn syrup. From a convenience standpoint, I think they are easier to unwrap than candy canes. If you choose to go the candy cane route, I really like TruJoy candy canes—again, no artificial dyes or high fructose corn syrup. You can form these in all kinds of shapes—classic candy canes, simple rods to dip in chocolate, even cute wreath shapes! You can also roll the dough and cut it out with cookie cutters. Whatever shape you choose, have fun and enjoy! I hope these become a staple in your Christmas Cookie repertoire. Using a food processor, crush unwrapped peppermint candies into the texture of a rough granulated sugar. Set aside. Cream butter, sugar and crushed peppermints together. Add milk, vanilla, peppermint extract, and egg replacer and mix (mixture is a little lumpy at this point). Mix in flour, baking powder and salt and mix until smooth. Remove half of the dough and place in an airtight container. Add the red food coloring to the remaining dough in the mixer and mix until incorporated. Place in separate container. Cover and refrigerate for 4 hours, or overnight. Sprinkle a baking mat or piece of parchment paper with flour. Take 1 teaspoon of each color dough. Roll them separately into balls, and then squish them to form 1 inch log shapes. Set them together and squish again. Roll them together into a log by placing fingers of both hands on each side. (I found that rolling separately and then twisting together didn’t hold together very well.) Leave in a straight rod shape, or form into a candy cane. Alternately, the dough also rolled and cut with cookie cutters beautifully! Roll to ¼ inch thick and cut into desired shapes. Heat oven to 375*. Bake until set and light brown, about 9-12 minutes. Let cool for 2 minutes, then remove from cookie sheet and cool on a rack. Place chocolate chips and coconut oil in a microwave safe bowl. Heat in 30 second intervals until chocolate is completely melted. Dip cookies into the chocolate, using a spoon to help scoop chocolate up the cookie. Set on a parchment lined tray and sprinkle with peppermint bits. To speed up chocolate setting place tray in freezer for a few minutes! 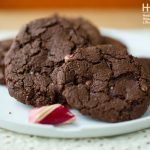 I found that these cookies were crunchiest on the day baked, but tasted great as they softened as well (although they are more fragile then). If you won’t be serving right away, place in an airtight container. You can also use gluten free flour mix. I used Bob’s Red Mill—follow package directions for adding xantham gum to the mix. The cookies look a little crackly, but I couldn’t tell a difference in the taste at all. Thank you for stopping by, Sarah! 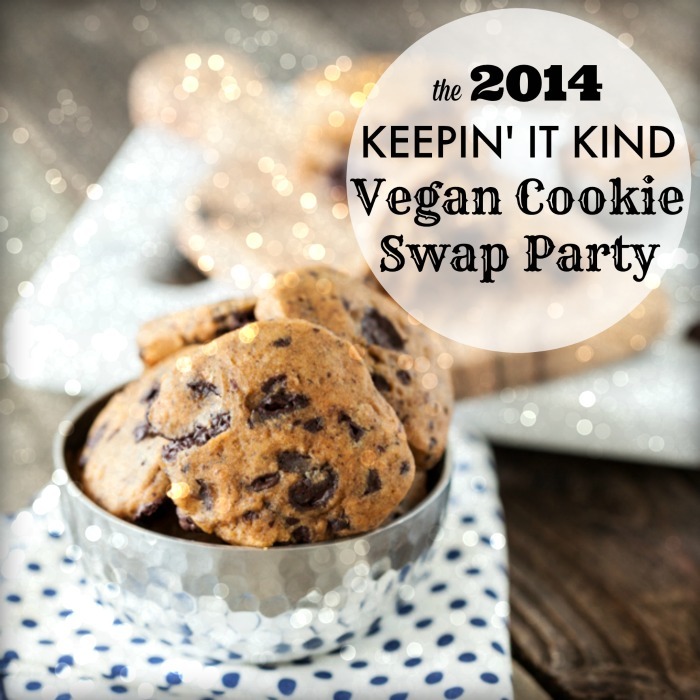 If you want to see what everyone else has brought to the party, check out the rest of the 2014 Vegan Cookie Swap Party! Sarah De la Cruz lives in the Seattle area with her husband and their two boys—almost 4 year old David and 7 month old Jonathan. She is a busy mom, a former art teacher, and loves to show her creativity in the kitchen. She and her boys are vegan, and she makes family-friendly recipes that keeps her whole family—even her non-veg husband—satisfied! Check out more of her recipes at Fried Dandelions. You can also find Fried Dandelions on Facebook, Pinterest, Twitter, and Instagram. 10 Responses to "Sarah’s Candy Cane Cookies"
I love all the pink! 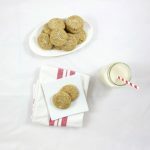 this kind of cookie is one of my favorites – I will have to try your recipe – thanks Sarah! Thanks Kristina! I know—they’re a bit of a pink explosion! I hope you enjoy them—I can’t stop munching on them as I pass through the kitchen! These candy canes are so cute, and of course, the cute quotient was upped that much more with the inclusion of David cooking them. Sarah, you did a beautiful job on the photographs! Thanks Cadry! Yes, David (and Jonathan) always make things that much cuter 🙂 I had fun with the photos—my house looked like a winter wonderland! Now to decorate for real! These look amazing and so cute! Can you use flaxseed eggs instead of the egg replacer? 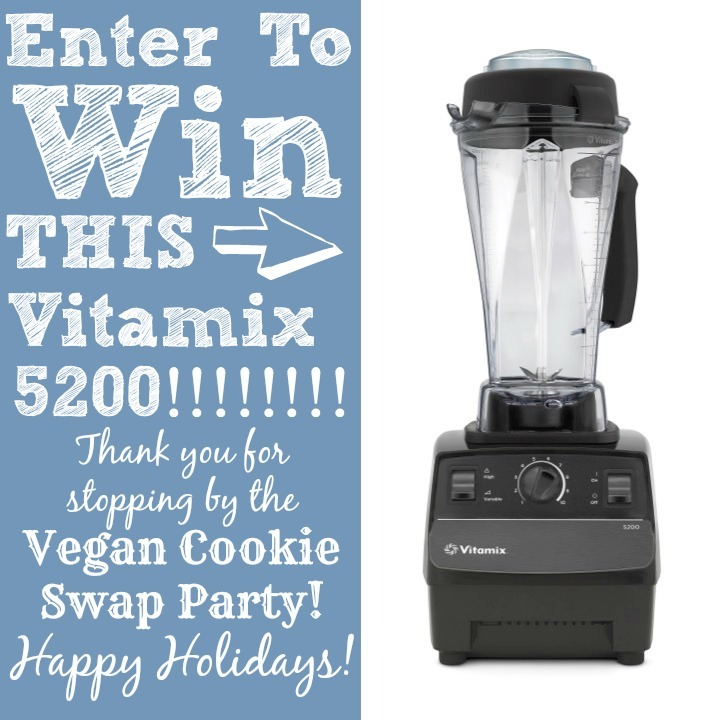 what a great idea for the holidays! thanks so much for this!